With the defeat of the Romans in the 5th century, Nord-Pas-de-Calais was added to Neustria, which was then one of the three regions of France. It was a prosperous region with a flourishing cloth making industry during the Middle Ages. It is a part of the Flanders plains, which extend into Belgium. After the Hundred Years’ War, the Calais region remained with the English for over a century and later went back to the French crown as a result of the lengthy siege of 1347. History has it that at the end of the siege six important citizens volunteered to be hanged in order for the rest of the Calais inhabitants to be spared. At the insistence of the pregnant Queen Philippa, King Edward III of England did not execute the men and they returned to Calais as heroes. The incident provided the inspiration for Rodin’s 1895 sculpture of ‘The Burghers of Calais’, which can be seen in front of the Calais town hall. The marriage of King Louis XIV to Maria-Theresa of Spain in 1659 put Flanders under the French crown. The king then went on to annex several Northern areas under the treaty of Nijmegen. The Treaty of Utrecht in 1913 consolidated the borders of Northern France. This region witnessed several battles of WWI and suffered the most damages during WWII, in Western Europe. Today Nord-Pas-de-Calais is among the smaller regions of France, but the most densely populated one next to Ile de France. The biggest part of the region is largely industrialized with about 35% of the population employed in the heavy industry. However, industry here is in decline, with unemployment rates being over national averages. Due to its location on the border with Belgium, the region has a strong Flemish influence, with a significant number of people speaking Flemish and locals preferring beer to wine. 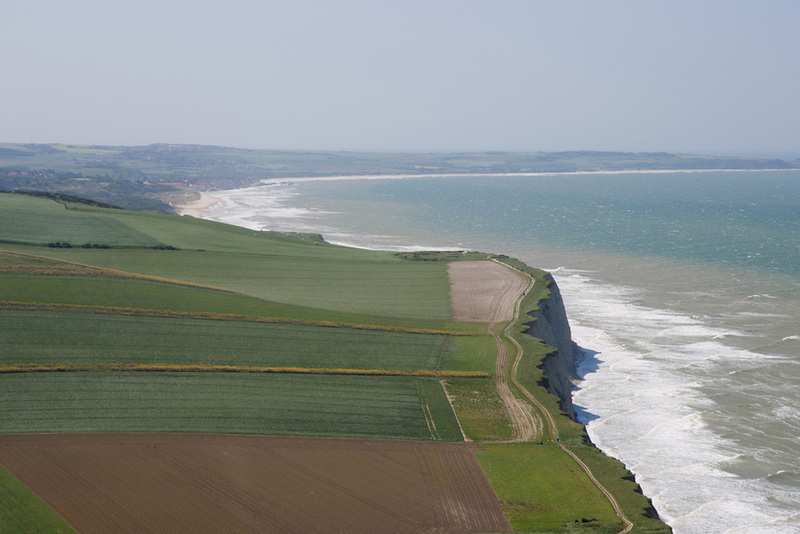 The 40 km Côte d’Opale coastline between Calais and Boulogne is the narrowest streak of the English Channel. The region has many sandy beaches, river valleys, beautiful villages and gardens. Aras is the capital of the region. The two large town squares of Aras, which were over 800 years old, were destroyed in WWI and later rebuilt. The squares are surrounded by Flemish type houses and shops, above an exhaustive network of tunnels. The area is well associated (I don’t understand the meaning here, so am not sure how to correct.) from the French Revolution to WWI, when the British Army used it as their head quarters. The town hall belfry offers a stunning view of Arras including its Vimy ridge and the Canadian Monument associated with the Canadian victory over the Germans in WWI. The port city of Boulogne-sur-Mer has an old upper town called Haute-Ville, atop a hill, enclosed by medieval ramparts. A bridge across the moat connects the upper town to the 13th century castle of the Counts of Boulogne. Among the several industries here, the most notable ones are boat building, fishing and foundry work. A cross-channel car ferry operates between Boulogne and Folkestone in England. The Basilique de Notre-Dame of the 19th century, which has a very huge dome, is located on the ramparts. The lower part of the town is located at the foot of the hill. The port of Calais is located on an island and is bound by harbors and canals. The region is about 21 miles from Dover, England; separated by the Strait of Dover at its shortest point. Among the major tourist attractions of Calais is the 1895 bronze sculpture of the Burghers of Calais depicting the 1347 surrender of Eustache de Saint-Pierre and his five colleagues during the hundred years war. The Tour du Guet, a 13th century watchtower, which served as a lighthouse utill 1848, and the Church of Notre-Dame are prominent tourist attractions. Today Calais is famous for its lace making industry. 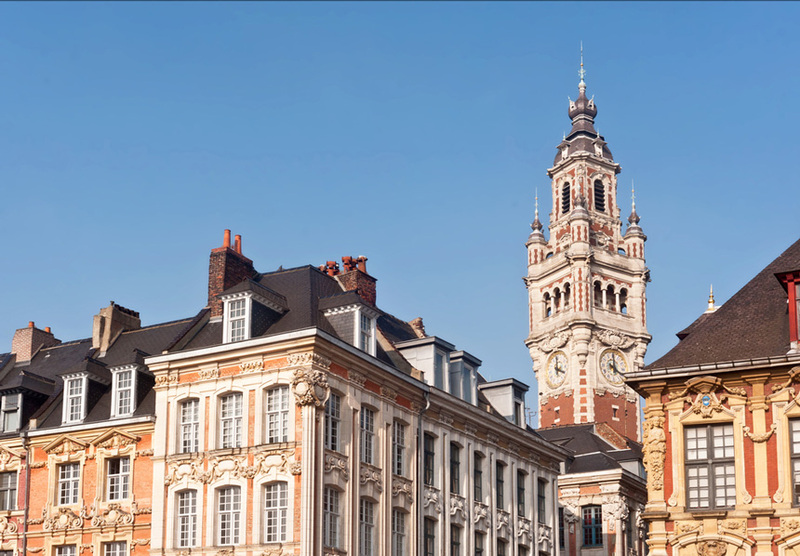 The town of Douai is believed to have been built from the 4th century Roman fortress site of Duacum, from which its name was derived. The town includes a 130 foot high Gothic belfry with a detailed crown and a 49-bell carillon. The 16th century monastic museum La Chartreuse Carthusian showcases a fine collection of the 16th century paintings. The town of Dunkerque lies to the east of Calais and is also close to the Belgium border. Dunkerque is one of France’s important ferry ports, as well as a popular commercial shipping and fishing port. Also called Dunkirk, the seaport is just 11 miles west of the Belgium border. Dunkerque is well connected to the coal mines, farm lands and factories of Belgium and France by a network of railways and canals. The center of the town has a spacious square with a statue of the 17th century pirate Jean Bart. 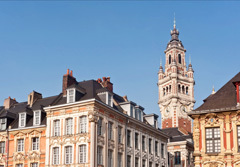 The city of Lille offers a diverse historical heritage. It boasts typical 17th century Flemish architecture and well-preserved farm houses dating from the Middle Ages, located in Old Lille. The Musée des Beaux-Arts, or Fine Arts Museum, has a rich collection of 15th to 20th century Flemish masterpieces, considered as the best collection in France outside Paris. The old hospital Hospice Comtesse was founded in 1236 and rebuilt several times between the 15th and the 20th century. It has sandstone walls and a monumental gateway with a magnificent timber ceiling.